The D7000 was introduced by Nikon in September 2010. Rapidly this camera became the favorite tool for underwater photographers for good reasons. Most important is the good low light performance, which allows to use this camera up to ISO 800 without much increase of noise and up to ISO 3200 still usable. This allows to use smaller apertures and still get well exposed pictures with ambient light or under mixed flash/ambient light conditions. In addition, pictures taken with 14 BIT in the NEF (RAW) formate are more likely to be still usable when underexposed. The 16.2 "good" mega pixels also allow some more cropping without sacrificing the picture quality too much. 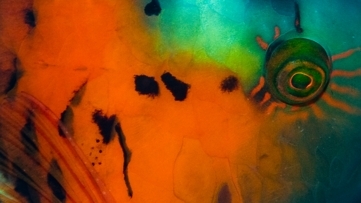 There are many more features of the D7000 to like for underwater photography. One is the better autofocus system compared to the older cameras (especially the D80). In particular useful for macro and fish photography is the new 3D tracking. In this mode the active focus sensor can be selected as in single point autofocus. Once focus is locked, it follows a moving object and calculates where the focus should be (in three dimensions!) at the time the picture will actually be taken. This works great e. g. for fast moving fish in blue water. Amazingly, almost every shot is in focus. The D7000 is a quite complex instrument. An excellent Guide with detailled explanations and lots of tips is Thom Hogan's "Complete Guide to the Nikon D7000". Right from the beginning it was clear that this camera would be a great success in underwater photography, and within a couple of months several underwater housings came on the market. I selected the Aquatica housing, which is made of aluminum and quite compact and robust. The housing has a smooth, black coating and is machined on a 5-axis CNC machine to fit the D7000 precisely. The downside of the small volume is that the weight is quite negative, and some buoyancy compensation should be attached to the housing (I use Stix Floats with my U.L.C.S. arms). Basically all camera controls can be used underwater, and all work amazingly smooth and precise. This housing is by far better than any other housing I used before. Table 1. 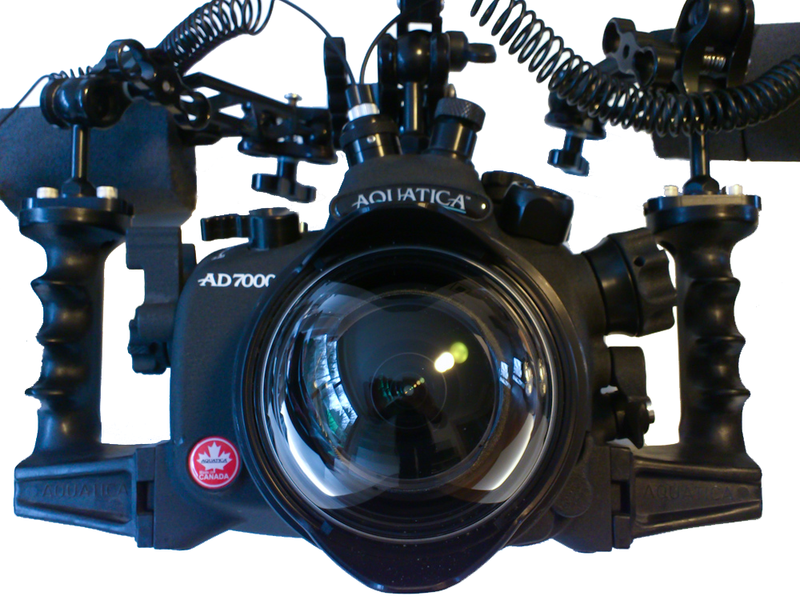 Lenses and port/extension combinations I use with the Aquatica AD7000 housing. The product numbers in parenthesis refer to the Aquatica catalogue. (18410) + 16.5 mm Ext. Table 2. D7000 settings I use for underwater photography and videography. The settings are loaded as user settings U1 and U2, and esily accessible with the mode dial. This is just to quickly start, everything can be adjusted underwater.